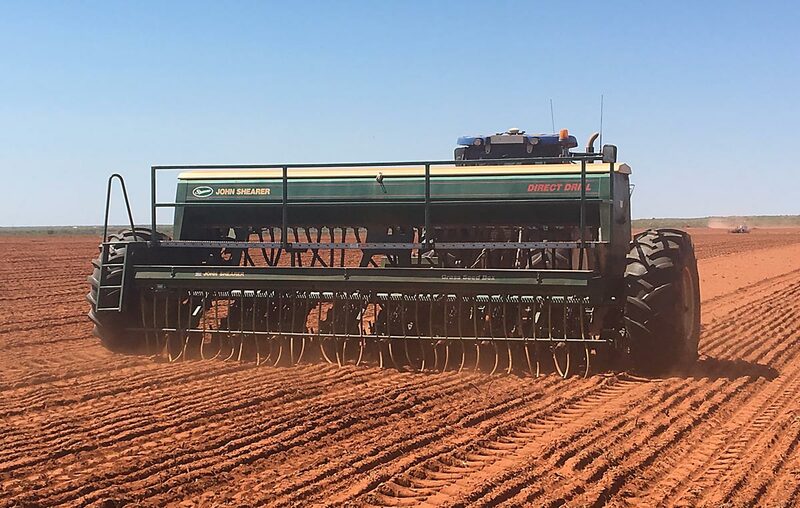 Pardoo Station are ecstatic with the performance of their John Shearer 33 row direct drill. A 200,000 hectare cattle operation, Pardoo Station is approximately 120 kilometres east of Port Hedland in the Western Australia’s remote hot Pilbara region. The property was purchased by the Pardoo Beef Corporation in 2015. Pardoo Beef Corporation’s herd is being transformed into purebred and crossbred Wagyu cattle. 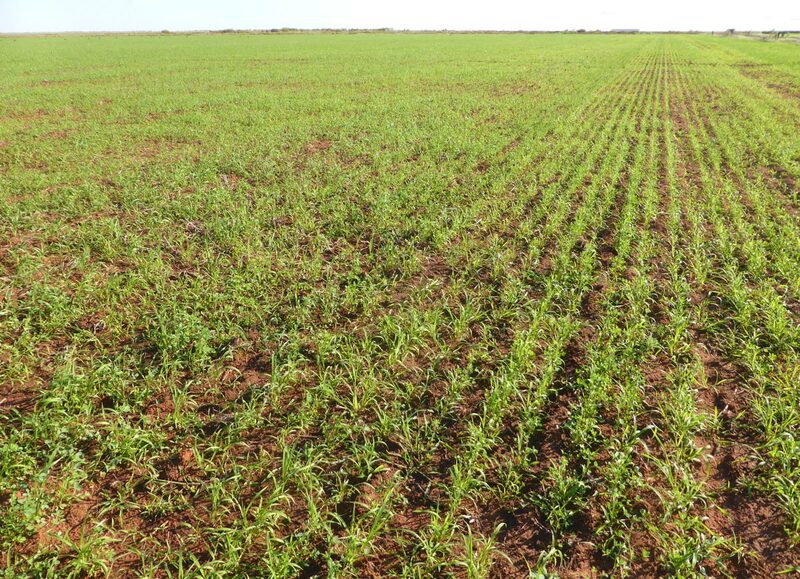 This is made possible by using an extensive irrigation system to create and support perennial pastures. Investing in centre pivot irrigation systems, has transformed Pardoo Station’s marginal grazing country into lush green pasture and the water comes from the Artesian basin. By August 2018, Pardoo will have 18 centre pivot irrigators watering more than 840 hectares of pasture and they expect to install up to another 18 pivots over the next three years. The pivots are divided into sectors and herds of up to 400 are moved onto fresh grass every two to three days. 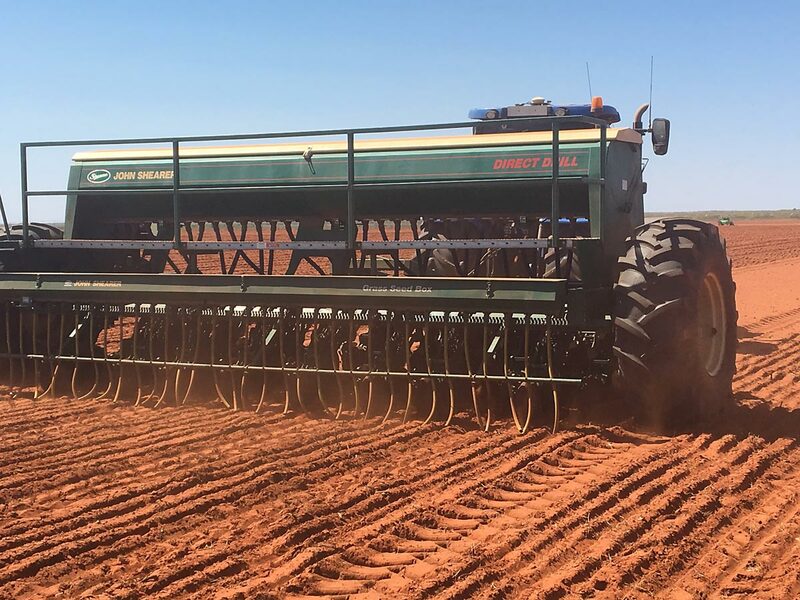 In May 2017, Pardoo Station purchased a John Shearer 33 row direct drill from McIntosh & Son, Geraldton. The drill was ordered with parallelogram ‘double disc openers’ with press wheels, rather than tynes, for better control over seed placement. Their service manager says, “Getting the seed to the right level during seeding is very important to ensure good germination. With the parallelogram double disc openers and press wheels, adjustments can be made to plant seed at the optimum depth.”. The John Shearer drill has proved to be a very worthwhile investment. It is a great machine, easy to set-up and he particularly likes the versatility that the machine provides to plant into a range of different scenarios. He says that they have had a good run from the drill and the germination has been fantastic.